Background: The use of cryosurgery for the treatment of airway diseases has recently gained popularity. Cryotherapy can be applied through a flexible or rigid bronchoscope and delivered via cryotherapy probe or cryospray. Cryosurgical techniques can be used to freeze tissue to approximately negative 80 degrees Celsius, resulting in cell death and tissue necrosis. Treatment of malignant airway obstructions can be accomplished through cellular necrosis by utilizing repeated freeze/thaw cycles and subsequent removal of sloughing tissue. Additionally, immediate airway recanalization can be achieved through cryodebridement, a technique by which tissue adheres to the freezing cryoprobe and is then quickly withdrawn to debulk tumor. Cryosurgical techniques have also been used in benign diseases, including foreign body removal and treatment of airway stenosis. The cryotherapy probe can also be used to obtain large transbronchial tissue biopsies. The safety profile of cryotherapy within the airways is favorable, with bleeding and pneumothorax being the main risks. As cryosurgical interventions within the airway evolve, the additional applications will continue to grow. Methods: A peer-reviewed literature search was conducted to obtain published literature for this review. The following bibliographic databases were searched: Ovid MEDLINE with in-process records and daily updates through Ovid (1970 to present), including clinical trials and reviews. Search results included 87 publications. If objective data were not available, expert opinion was used. Keywords included airway and cryotherapy. Results: Twenty-five articles were used to develop this review, of which 12 articles were review articles themselves. Based on these findings, this review article was able to show that airway cryotherapy is an effective tool for the treatment of malignant and benign airway disease. Conclusion: The use of airway cryotherapy is an effective and safe approach for the treatment of both malignant and benign airway diseases. Keywords: Cryosurgery, cryotherapy, cryoprobe, cryospray, cryosurgical techniques, cryodebridement, bronchoscopy, lung cancer. Keywords:Cryosurgery, cryotherapy, cryoprobe, cryospray, cryosurgical techniques, cryodebridement, bronchoscopy, lung cancer. Abstract:Background: The use of cryosurgery for the treatment of airway diseases has recently gained popularity. 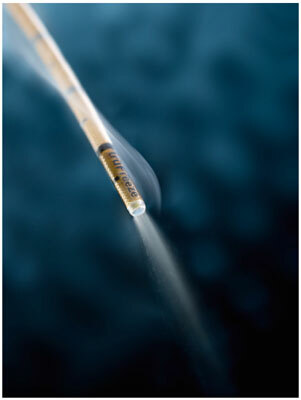 Cryotherapy can be applied through a flexible or rigid bronchoscope and delivered via cryotherapy probe or cryospray. Cryosurgical techniques can be used to freeze tissue to approximately negative 80 degrees Celsius, resulting in cell death and tissue necrosis. Treatment of malignant airway obstructions can be accomplished through cellular necrosis by utilizing repeated freeze/thaw cycles and subsequent removal of sloughing tissue. Additionally, immediate airway recanalization can be achieved through cryodebridement, a technique by which tissue adheres to the freezing cryoprobe and is then quickly withdrawn to debulk tumor. Cryosurgical techniques have also been used in benign diseases, including foreign body removal and treatment of airway stenosis. The cryotherapy probe can also be used to obtain large transbronchial tissue biopsies. The safety profile of cryotherapy within the airways is favorable, with bleeding and pneumothorax being the main risks. As cryosurgical interventions within the airway evolve, the additional applications will continue to grow.